Monday morning and a new comic page!!! Wooooo! Hope you’re enjoying Elementary? so far. Things are starting to really pick up now and the plot thickens. In other news I’ve just finished writing my first draft of my debut graphic novel. In 2013 I finished my comic The Monkey and the Mouse: Where’s the Cheese? (you can pick up your copy here!!) 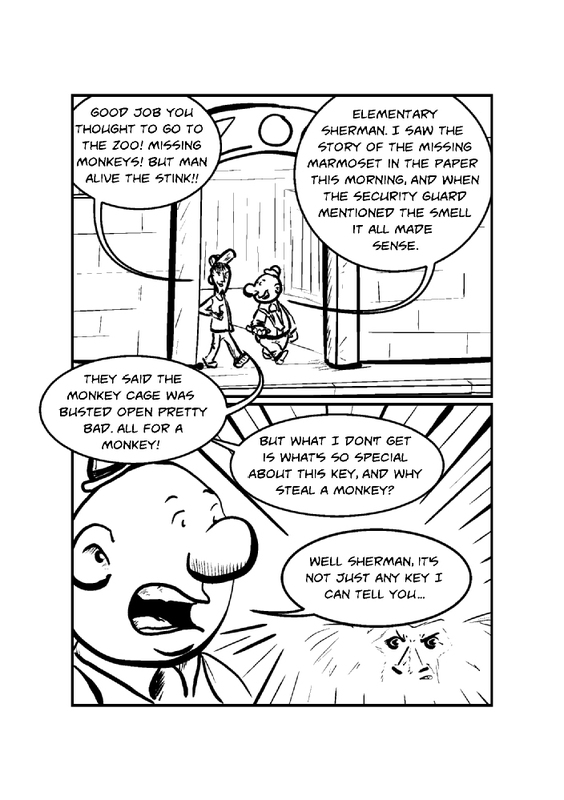 a 44 page comic that sees the Monkey and the Mouse journey to the moon looking for cheese. The new story is packed with mystery, adventure, excitement and a whole load of new and fun characters…and maybe even lurve…plus it extends to about 150 pages (so far). I’ll keep you up to date with how things progress with it.